"Every family needs a common sense medical adviser," lectures the opening line of Dr. R.V. Pierce's 1895 edition of his life's work, which is called, conveniently, The People's Common Sense Medical Adviser. 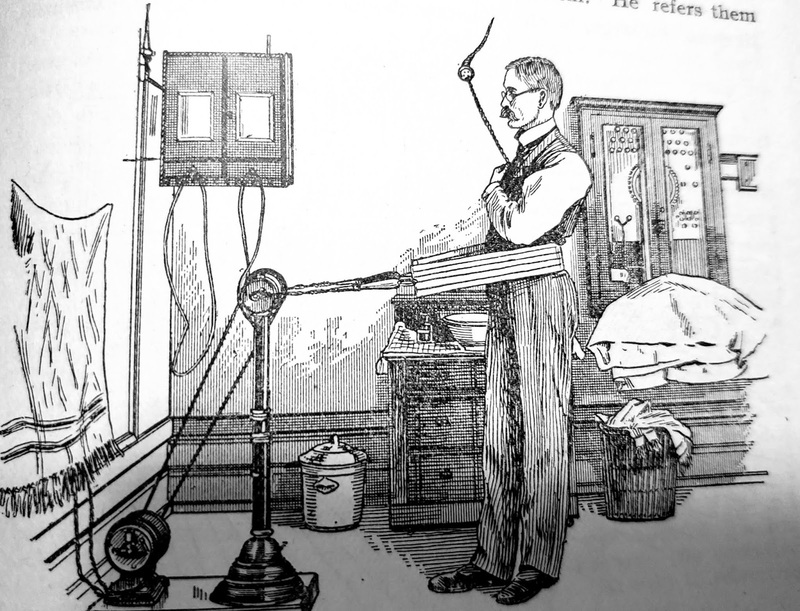 Pierce goes on to claim that his book has been so popular, "the original electrotype plates from which it has heretofore been printed, have been completely worn out." A pity this wasn't perceived as an omen, because it didn't stop subsequent printings nor the production of a profusion of pellets, palliatives, and nostrums that this nineteenth-century version of a social media influencer peddled to desperate cases. I unearthed a copy of this book as I nosed about in a local thrift store. I knew nothing about the man who would become known as "The Prince of Quacks," but I knew it would be ghoulish fun to peruse an old medical book. I remember spending many an hour as a kid reading the ancient medical book my mom had on her bookshelf, a book so old that it predated the polio vaccine and abundantly fueled my hypochondriacal tendencies. am I at all pleased with my hairdresser." After turning the Medical Adviser's pages in stunned fascination, I decided to find out more about this guy. 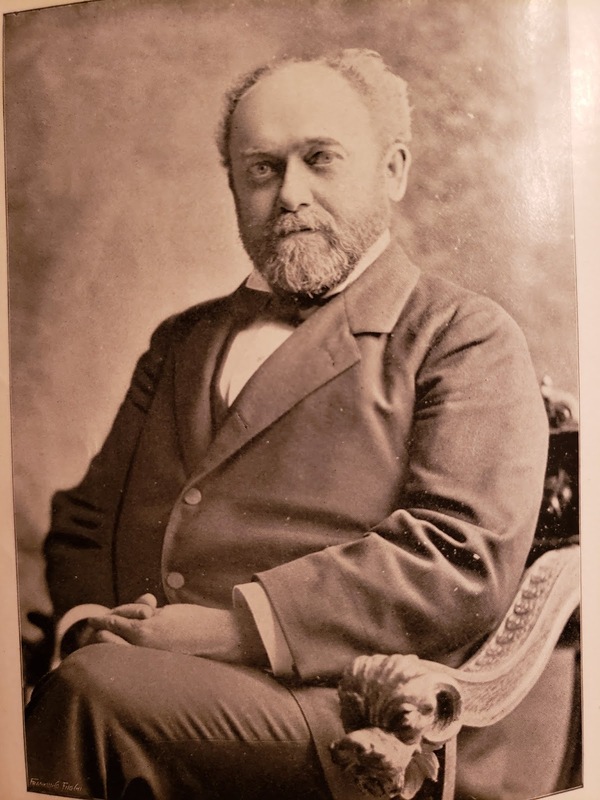 Dr. Ray Vaughn Pierce (1840-1914) obtained his medical degree from an institute called the Eclectic Medical Institute of Cincinnati. Eclectical medicine was rooted in herbal medicine. Despite the book's proclaimed assurance of its reliability as a medical adviser, anybody suffering from a rash or other ailment would be dead by the time they found some practical, common-sense information, as it's mainly stuffed way in the back of the book after reams of testimonials, advertising, descriptions of fatal maladies, and lectures on the bees that buzzed in Dr. Pierce's particular bonnet (most of which had to do with reproduction, sexuality, hygiene, moral behavior, and hateful notions about superior races). You'll have to wait until page 878, for example, to find out what to do if somebody in the household has a bad cough. Testimonials abound because Dr. Pierce was that quintessentially American late-1900s figure, the snake-oil salesman who traded in mysterious medicines. Pierce founded an Invalids' Hotel in Buffalo, NY, and dispensed an array of tinctures and potions that supposedly cured a multitude of afflictions. 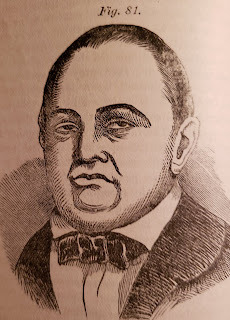 Among his many concoctions were "Dr. Pierce's Pleasant Purgative Pellets," "Dr. Pierce's Anuric Tablets," "Dr. Pierce's Golden Medical Discovery," "Dr. Pierce's Nasal Douche,"and "Dr. Pierce's Favorite Prescription." The latter was an elixir he marketed "for Weak Women" to relieve them of "female illnesses." 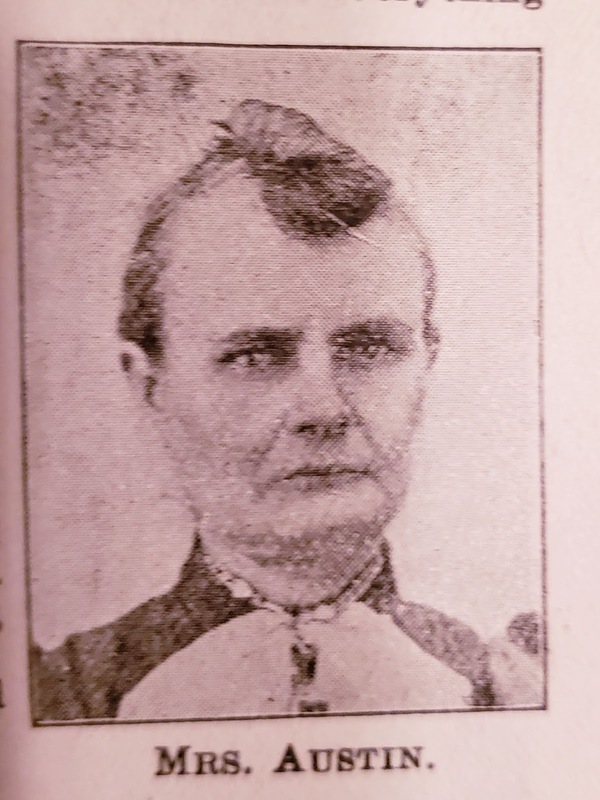 Another long-distance patient, a C. M. Niles of Maine, wrote to Dr. Pierce after years of declining health and (without ever having been examined by Dr. Pierce) was informed that he suffered from "indigestion, dyspepsia, catarrh, and spinal affection"--and that, of course, Dr. Pierce could cure him. Not surprisingly, Pierce inveighed mightily against the establishment of the Pure Food and Drug Act of 1906. This legislation included the requirement that active ingredients in medications be listed on labels and standards of purity be maintained. No doubt Pierce had to partake of many handfuls of Pleasant Purgative Pellets at this prospect. 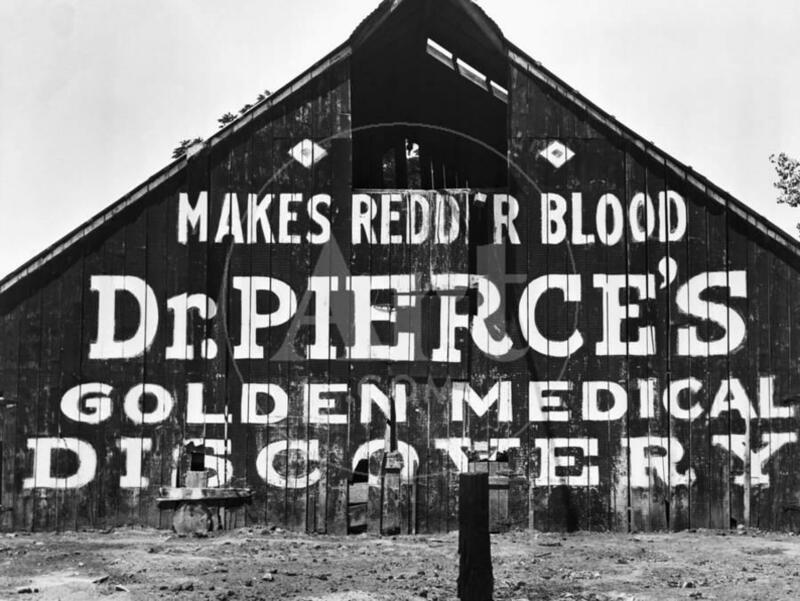 Just what was in Pierce's Golden Medical Discovery and other products? It was alleged that various elixirs contained opium, alcohol, and digitalis, but the printed label for the Golden Medical Discovery listed bloodroot, Oregon grape root, stone root, queen's root, sacred bark, black cherrybark, and cinchona bark. He claimed that it could relieve dyspepsia, liver complaint, chronic diarrhea, skin diseases, coughs, blood diseases, chronic nasal catarrh, and nervous disability; it could also be used as a tonic and to strengthen weak lungs. 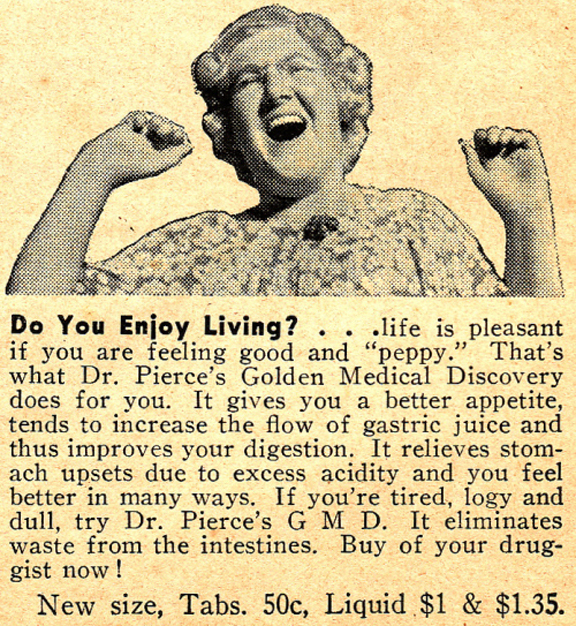 "Pleasant Pellets," boasted his ads, would make "weak women strong [and] sick women well by giving strength to the stomach, purity to the blood and life to lungs." Plants have indeed yielded many substances used in medicine (digitalis, quinine, morphine, taxol, capsaicin, scopolamine, salicylic acid a.k.a. aspirin, just to name a handful), but it's not admirable medical protocol to lump them randomly into pellets and powders, claim that they cure just about everything, and sell them without ever examining the patient. 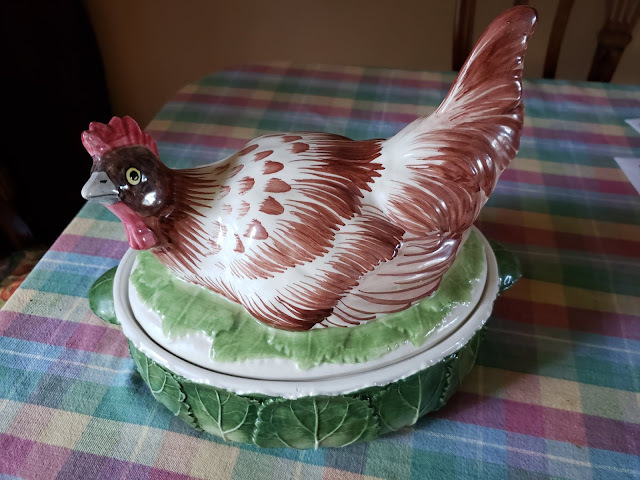 Pierce was never run out of town on a rail, however (in fact, his offspring continued selling the products well into the twentieth century), although Collier's and Ladies Home Journal did have a go at him. 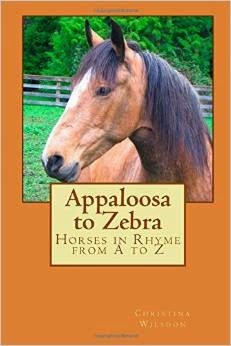 He blanketed the nation with newspaper and magazine ads, and barns across the countryside were painted with giant letters trumpeting his wares. If he'd had the Internet back then, you can bet he'd have websites, a Twitter feed, fake-news videos, and Facebook lackies galore to tout his miracle cures. This guy is lymphatic. Don't be this guy. 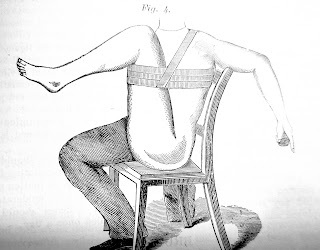 In addition to the groveling testimonials and Pierce's own bragging, the Common Sense Medical Adviser contains curious references to ancient modes of thinking about the human body and its systems, such as the theory of four "bodily humors"--black bile, plhlegm, yellow bile, and blood--inherited from the ancient Greeks. Medicine continued to be dogged by this theory for much of the 1800s. Pierce had his own take on the temperaments associated with the humors, which were traditionally characterized as melancholic, phlegmatic, choleric, and sanguine; his were lymphatic, sanguine, volitive, and encephalic. He believed these temperaments were created by the relative proportions of the brain's anatomy (which suggests a foray into phrenology as well). Not surprisingly, this theory ties in with assorted baseless and racist observations by Pierce, which he often aims at Native Americans (whose dwindling numbers due to genocide he blindly likens to the disappearance of animal species). 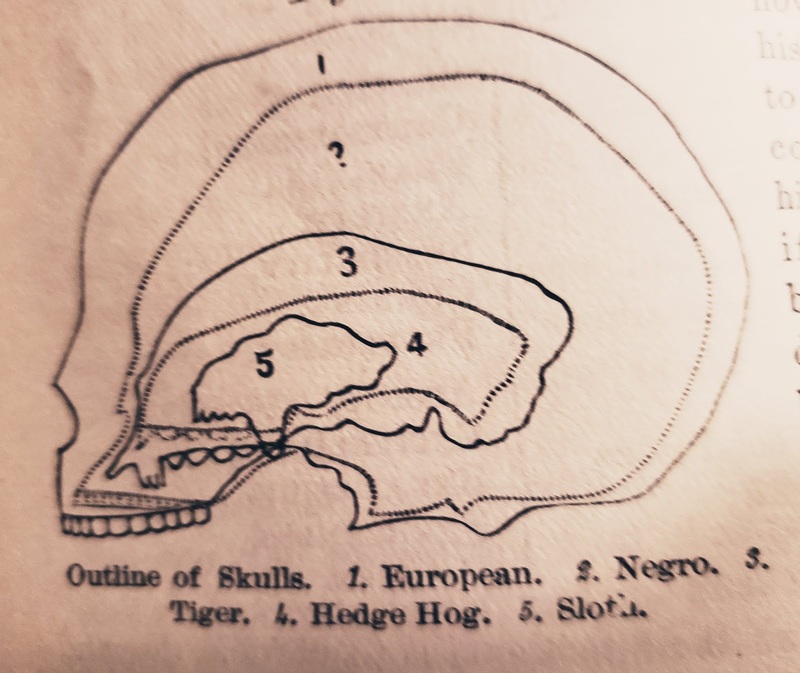 He also offers up diagrams of skulls and chart of the "cranial capacity of human races," which as you might expect lists Caucasian races at the top and everybody else lower down. (Top marks go to Swedes, Anglo-Saxons, and Finns, with Anglo-Americans scoring lowest among whites.) Odious stuff. 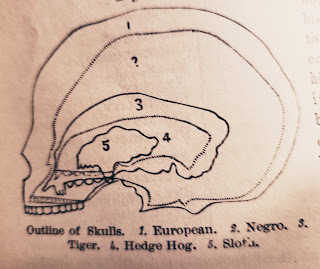 Dr. Pierce's absurd skull diagram. And although Pierce makes references to germs, notions about "bad air" pop up in his work. For example, he doesn't indicate that mosquitoes in swampy places are responsible for transmitting malaria; instead, he blames winds in damp areas for bringing "the poison of decayed vegetable matter from low lands" and claims that "the dampness of the leaves [in trees near homes] tends to attract malaria" and encourages "unhealthy vapors." On the other hand, he devotes many pages to the need for proper ventilation of schools, factories, workshops, and dwellings, which strikes me as pretty progressive for his time. where do babies come from?" 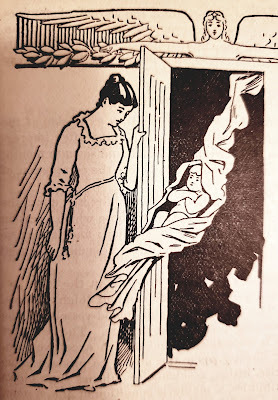 While in this state of strong excitement, the mother took up her child from the cradle, where it lay playing, and in the most perfect health, never having had a moment's illness; she gave it the breast, and in so doing sealed its fate. In a few minutes the infant left off sucking, became restless, panted, and sank dead upon the mother's bosom. ...milk is sometimes poisoned by a fit of ill-temper, and the infant made sick and occasionally thrown into convulsions, which in some instances prove fatal. But one doesn't have to squint much to see that Pierce has descendants a-plenty in our own day and age when it comes to fake news, pseudoscience, racism, and all the rest. So we can't feel too smug about the knowledge we've gained since his time. fellow is trying to dress up as a triskelion for Halloween. Here are some random bits from Pierce's book, for sheer amusement, in part from the florid writing popular in Piercie's time as well as his tome. 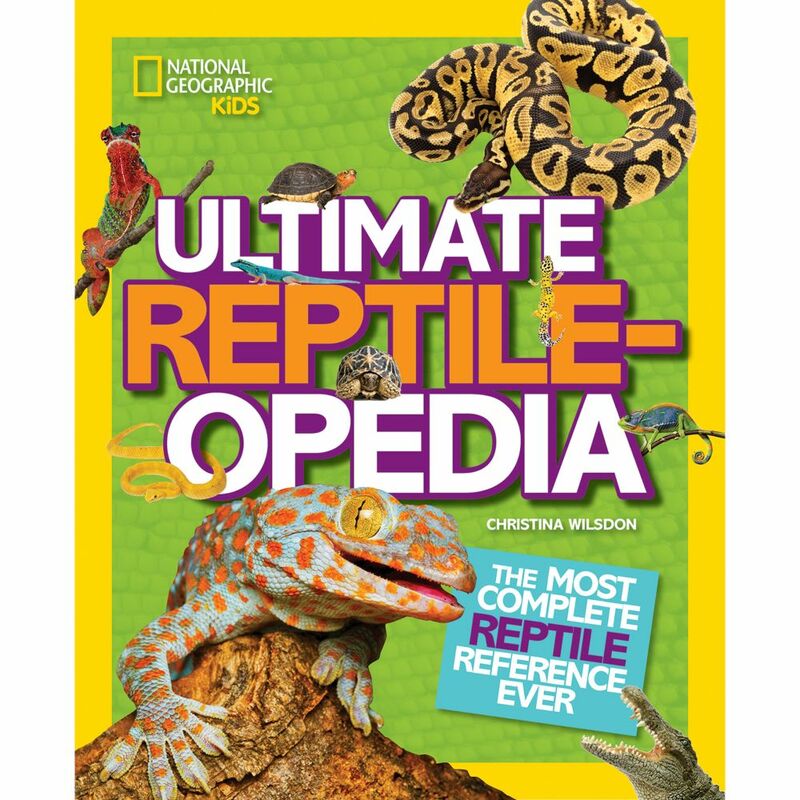 "Foreign bodies, such as beads, peas, coffee-grains, and small gravel-stones are occasionally introduced into the nostrils of children, becoming fastened there, and causing great anxiety and alarm." "The Garden of Eden was no harem." "Base ball, cricket, boxing, and fencing, are all manly exercises when practiced solely with a view to their hygienic advantages, and as such have our approval." "Notwithstanding the fact that dancing has been perverted to the base purposes, has been made the fruitful source of dissipation, and has often laid the foundation for disease, it is yet capable of being made to minister to health and happiness." "We were called not long ago, to see a young lady who had contracted a severe cold....In short, her legs were not kept warm, and she took cold by going out from warm rooms into a chilly atmosphere. A good pair of woolen leggings might have saved her much suffering." "Living organisms are universally diffused over every part of the globe. The gentle zephyr wafts from flower to flower invisible, fructifying atoms, which quickens beauty and fragrance, giving the promise of a golden fruitage, to gladden and nourish a dependent world." by shaking the bejesus out of you.